With Change Comes A New Beginning. At Dennis & Dennis, P.A. If you are facing a divorce, child custody dispute or any other family law problem, it is important to have an experienced divorce attorney and family attorney on your side. The outcome of your case could have consequences that last for years, even a lifetime, affecting everything from your finances to your most precious personal relationships. 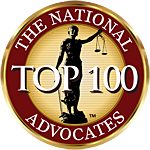 At Dennis & Dennis, P.A., we help people in Miami and throughout the South Florida area with a wide range of family law problems. With years of experience handling complex and sensitive issues involving divorce, child custody and other family law issues, we are prepared to stand up for your rights and help you pursue a stable and happy future. If you need a divorce lawyer in Miami, call us. Weekend and evening hours are available by appointment. Please contact Dennis & Dennis, P.A. for an initial consultation.